This will be our 10th or maybe 11th year? at the Marriott Cincinnati North…that is in West Chester. They have a new chef and promise to have an exquisite menu this year. You don’t want to miss. Make your reservations right here on our website and your name will be entered in the drawing to take place on December 18 at the MVP Sports Bar. 3 winners: 1 Full package and 2-1/2 packages refunded to the lucky winners. 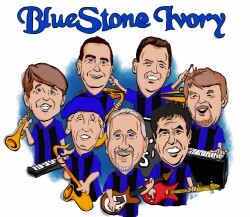 www.BlueStoneIvory.com.